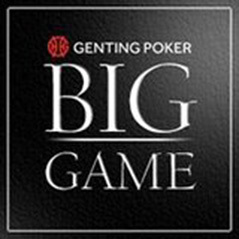 The November edition of the Big Game returns tonight at its new permanent home of the Fox Poker Club. The £1,000+£80 buy-in tournament gets under way at 7pm tonight with players starting with 15,000 chips and a 30-minute clock. An optional dealer bonus is also available for a further £20. Players looking to get into one of the capital's best tournaments on the cheap can try their luck in a satellite at 4pm. One seat into the big game is guaranteed (minimum of three players) in the special qualifier with players starting with 6,000 chips and a 15-minute clock. A further £2,000 chips are available for an extra fiver. Matthew Perry won October's Big Game, pocketing £22,400 after outlasting a 56-runner field in the final event staged at the Palm Beach.